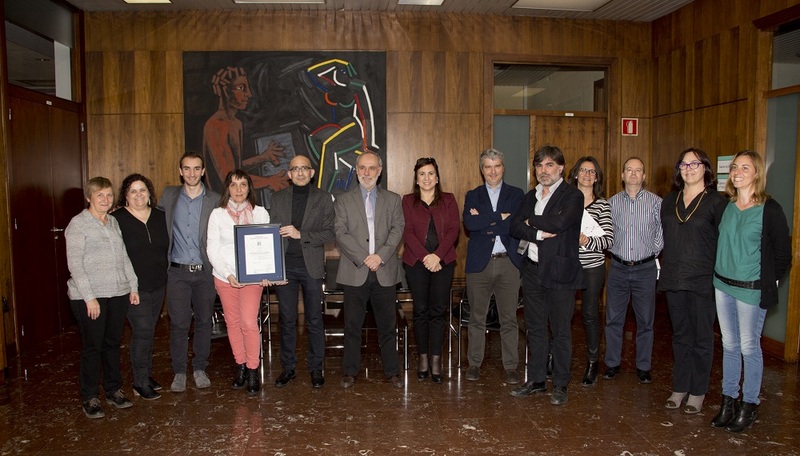 Jose Luis Pedraz, Scientific Director of Unit 10 of NANBIOSIS and Ramon Eritja (CIBER-BBN) have participated in the entrapment of cationic nioplexes in supramolecular hydrogels and the use of these materials for transfecting cells. 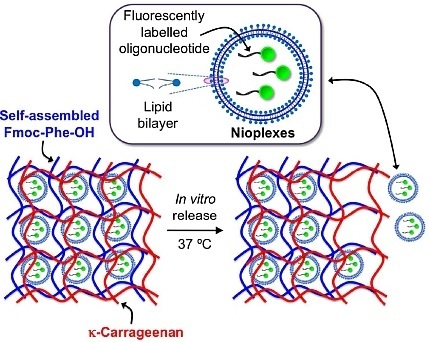 This work is focused on entrapping cationic nioplexes within supramolecular hydrogels based on N-protected phenylalanine. To modulate the supramolecular hydrogel diffusion properties, hydrogels were easily tuned with ĸ-carrageenan (≤ 1%). These materials were fully characterized using rheology. The niosomal liberation in solution through hydrogels was monitored by fluorescence and this release was controlled by diffusion mechanisms. The lack of toxicity of these materials allowed these materials to be used in cell culture. Preliminary transfection results confirmed the suitability of entrapping niosomal formulations in supramolecular hydrogels and the potential opening up of alternative strategies in therapy. 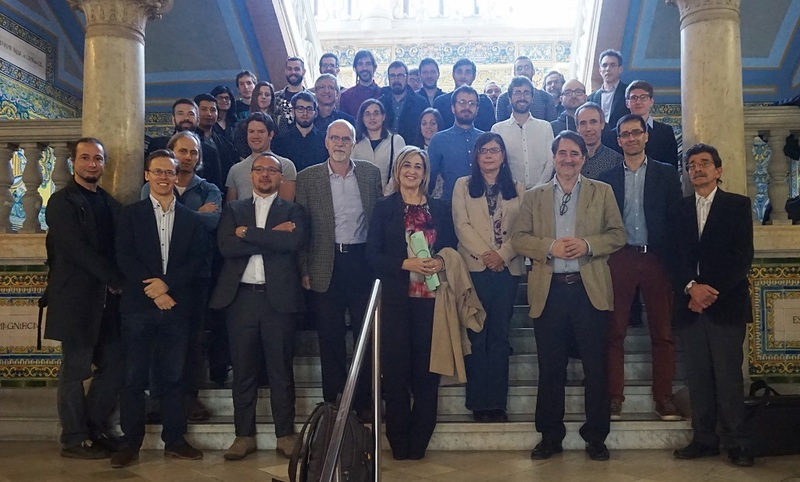 Unit 1 of NANBIOSIS, Production Platform Protein (PPP) at the Autonomous University of Barcelona, ​​directed by Dra. 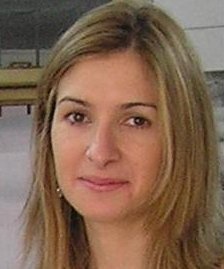 Neus Ferrer and coordinated by Professor Antonio Villaverde, provides the service of production and purification of recombinant proteins in different systems expression, microbial and non-microbial. This service was audited last November, based on the UNE EN ISO 9001: 2008 AENOR, who has issued a favourable certification report. The requirements of this standard cover all aspects of management. 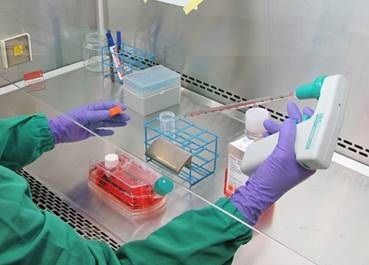 This certification will expand and consolidate the service that the Unit 1 of NANBIOSIS is giving to companies and public sector researchers and facilitate their integration in cooperative international projects. 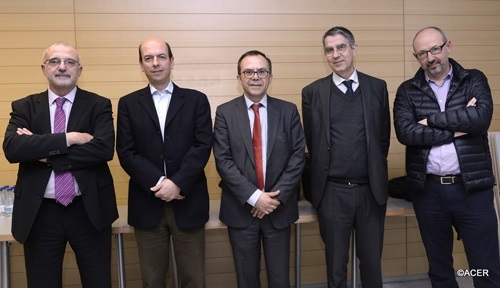 Josep Samitier, Scientific Director of Unit 7 of NANBIOSIS, was named new president of the Associació Catalana d’Entitats de Recerca (ACER). 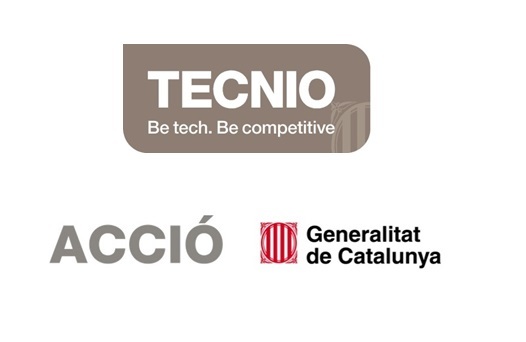 Associació Catalana d’Entitats de Recerca (ACER) is an independent association of more than 40 institutions in Catalonia – including CRG, IRB, ICFO, IBEC, VHIR and IDIBAPS – which conduct research as their principal mission. The collective vocation of the associated organisations is to contribute to defining the scientific and research priorities and policies in Catalonia, and to optimise their management and implementation in their respective areas by representing its associated centres, encouraging collaboration and the coordinated exchange of information, promoting synergies with similar agencies related to local, national or international research, and contributing to the improvement of scientific understanding in society. The Director’s Board, (in the picture) is the chartered body that rules, manages, administrates and represents the association, and its members are chosen by the General Assembly. The President and Secretary of ACER are also those of the Board, and are chosen by the General Assembly from among its members.